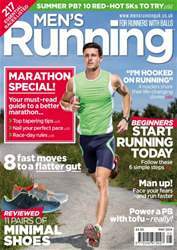 With marathon season just around the corner, this issue definitely has a marathon focus! Want to get your preparation right? Then our guide to the perfect taper is a must-read. Worried about going off too fast? Then check out our guide on how to nail your race pace. We also have the golden rules of marathon day racing: ignore them at your peril. But it's not all about the 26.2. 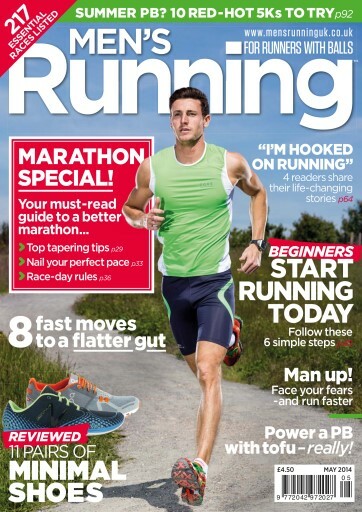 Our beginners' feature will get you from the sofa to your first steps and beyond, while the issue is also packed full of inspirational stories about why and how running has changed individuals' lives. On the kit front, we round-up the latest minimal shoes while new shoes from Under Armour and Nike slug it out in the battle.